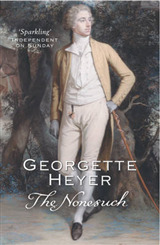 The shy, young Duke of Sale has never known his parents, Instead, his Grace Adolphus Gillespie Vernon Ware Gilly for short has endured twenty-four years of rigorous mollycoddling form his uncle and valet. 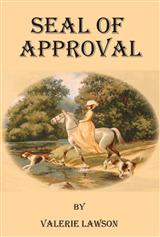 But his natural diffidence conceals a rebellious spirit. 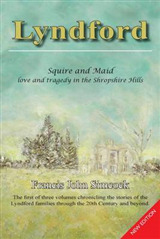 So when Gilly hears of Belinda, the beautiful foundling who appears to be blackmailing his cousin, he absconds with glee. 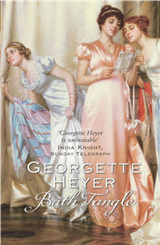 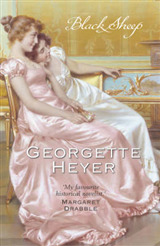 No sooner has he entered this new and dangerous world than he is plunged into a frenzy of intrigue, kidnap and adventure ... For over fifty years, Georgette Heyer was the undisputed queen of historical, romantic fiction. 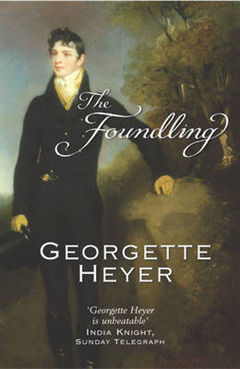 The Foundling shows all of her wonderful talents at their best, and how she won a huge audience that continues to this day.